Although grounded in ancient traditions and Confucianism, South Korea is one of the most modern and liberated countries in Asia, where every day is an adventure for a traveler. Visit a big city in South Korea, and you can barely keep up with the fast rhythm of daily life, but head to the countryside or a small town, and you’ll be lulled into a gentle pace and appreciation for life’s smaller pleasures. 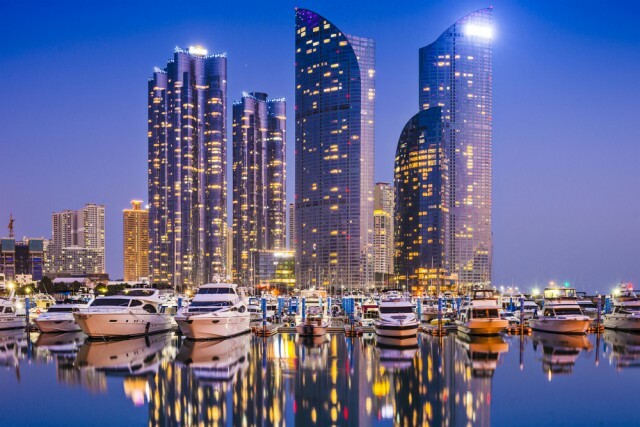 Cities like Seoul, Busan and Incheon are the kind of places where you can find something interesting to see or do any hour of the day, but South Korea’s sights are not restricted to urban sprawls, and you can find them in the most surprising places. Here are 5 spectacular attractions in South Korea, but you can rest assured that these are only a taster! 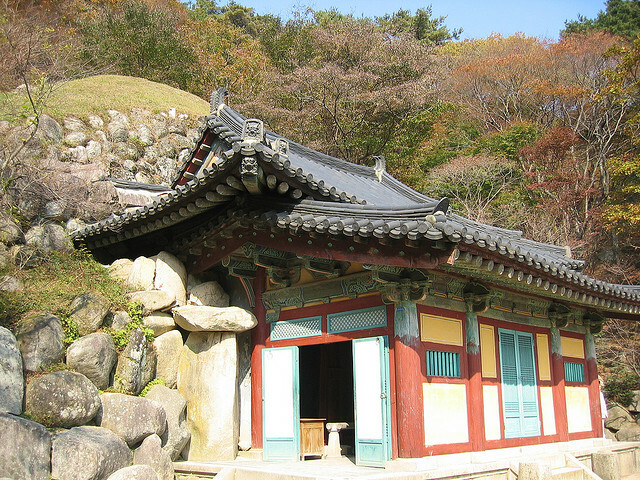 Jongmyo is one of the most fascinating UNESCO World Heritage Sites in South Korea, and the last remaining shrine dedicated to Korea’s Joseon rulers. The Confucian shrine was built at the end of the 14th century, but the present building dates back ‘only’ to 1601. The shrine is a piece of preserved history, and curiously enough it is one of the longest buildings in the world. The rituals and ceremonies performed at the temple haven’t changed a bit since the 14th century. Bulguksa and Seokguram Grotto are two neighboring Korean Buddhist religious sites that form one UNESCO site, and are seen to be one of the most precious national treasures of South Korea. The religious complex consists of Bulguksa temple, a masterpiece of Buddhist architecture dating back to the 8th century, and Seokguram grotto, and old hermitage overlooking the Sea of Japan and housing several of the most beautiful Buddhist statues in the world. The highest concentration of dolmens in the world can be found in Gochang, Hwasun, Ganghwa counties, and while visiting the most spectacular sites can take a bit of time, a traveler who likes hill walking and hiking will have a great time hunting for these millennia old stone giants. Almost 450 dolmens can be found in Gochang alone, especially around Maesan village. Hyosan-ri group in Hwasun county and Bugeun-ri dolmens on Ganghwa island are also worth seeing. Jeju Island, the Island Gods, is one of Korea’s most popular vacation spots for domestic and foreign travelers, thanks to its dramatic landscape, tourist facilities and unusual theme parks. Manjanggul Lava Tube is one of the biggest tourist draws on the island, but there are many more attractions that are not to be missed: Seongsan Ilchubong almost-island, several folk villages and the exquisite Iho Beach. 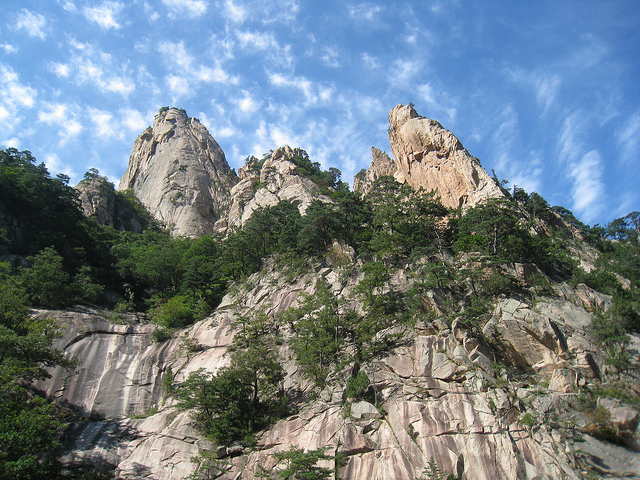 If you prefer the great outdoors to the neon lit jungle of highrise buildings in cities, Seoraksan National Park should be the first stop on your South Korean itinerary. This natural park can boast of lush forests, weirdly shaped rocks, a huge variety of plants and animals and some of the most beautiful sunrises you have ever seen.